Stephane Vedie: "My first priority will be to heighten our focus on innovation." Varroc Lighting Systems -- a former unit of Visteon Corp. -- has named Stephane Vedie as its CEO, effective immediately. 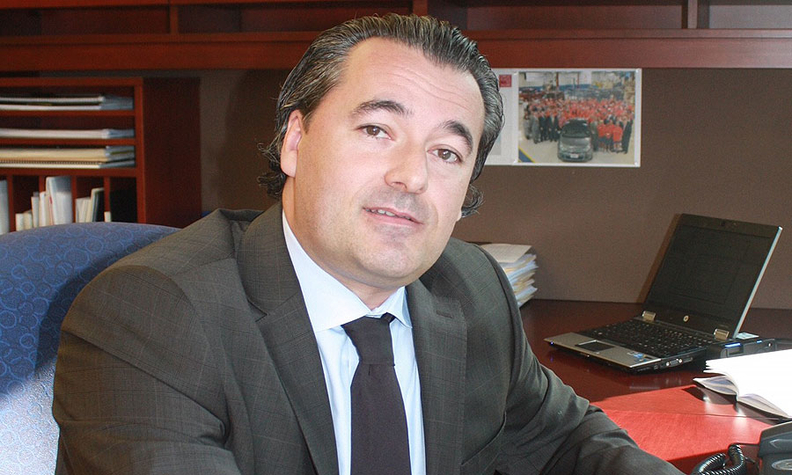 He is the former head of Magneti Marelli’s lighting division in North America and France. Vedie, 42, replaces Jeff Stevenson, who has left the company. Varroc, which traces its history back more than a century to what is now the Czech Republic, is based in Plymouth, Michigan, west of Detroit, and is one of the industry's leading providers of headlights and taillights. It operates three technical centers globally. The company is owned by Varroc Group, which is headquartered in Aurangabad, Maharashtra India. "Stephane is a proven leader with a strong understanding of automotive lighting innovation and what our customers want and need," Varroc Chairman Tarang Jain said in a statement. Automakers have been increasingly turning to lighting signatures to help create distinctive identities for their vehicles, making lighting one of the fastest growing sources of revenue for suppliers. The distinctive LED taillights on the Land Rover Discovery, for example, are made by Varroc. "My first priority will be to heighten our focus on innovation and deliver even more affordable technology to meet automakers' changing needs, Vedie said. "I'm confident Varroc will deliver growth and continue to set the pace for the industry in the future."